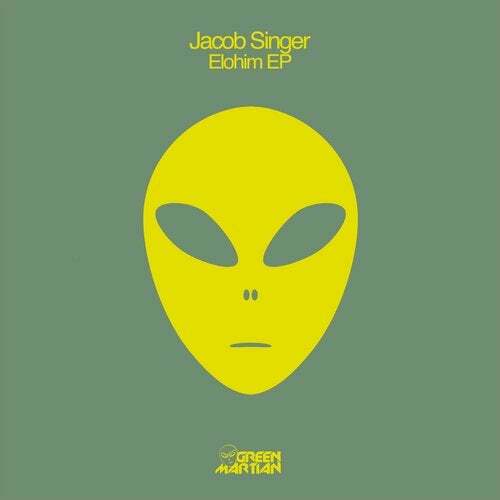 Madrid based artist Jesus Gonzalez aka Jacob Singer makes a welcome return to Green Martian with the two track EP titled Elohim. This one follows his last effort, Urantia over on our flagship Bonzai Progressive imprint. Jacob started out in music playing the guitar and was heavily influenced by rock and metal bands for many years. After he discovered electronic music however, he soon realised that this is where his passion lay. Now a veteran on the progressive scene he has churned out many noteworthy releases on various labels and it's always great to have him here. Elohim takes us on a blissful journey high into the progressive house stratosphere with a simply wonderful melodic construction. Deep basses and chunky beats lead the way, giving the track a dark, rich flavour. Captivating pianos dish out a melancholic vibe as contrasting melodies swirl overhead. The break raises the intensity as a wall of sound races forward before the beats return to full on mode and the mesmerizing journey continues. Not to be missed. The Book Of Enoch delivers a smooth, deep progressive house joint. A tight drum section provides a nice rhythmic flow as a deep probing bassline makes its way to your chest cavity and proceeds to try and burst out from within. Hypnotic synths dish out strange melodies with quality FX filling out the background alongside warm pads. Another sublime effort from Jacob that will most definitely not disappoint.